youtube SEO, tricks for blogger, wordpress tricks for earning money online youtube earning, whatsapp,windows, android & all about new technology. 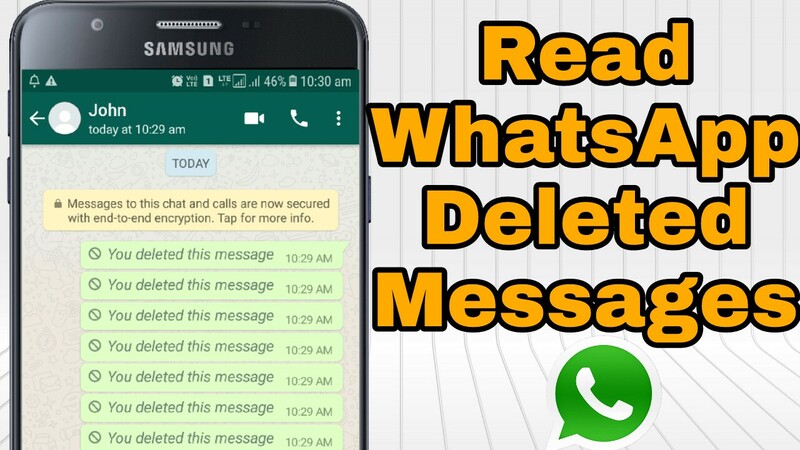 Read whatsapp deleted messages Hello friends today i'am going to tell you a trick for read deleted whatsapp messages as we now whatsapp added a new feature for user by using this feature you can delete any send message withing 8 Minutes and this message will delete from receiver mobile and there show a message like This message was deleted.but by using this trick you can also read deleted message watch below given video for know how to read deleted whatsapp message. Please Subscribe my youtube channel vktech zone for technical tutorial videos.